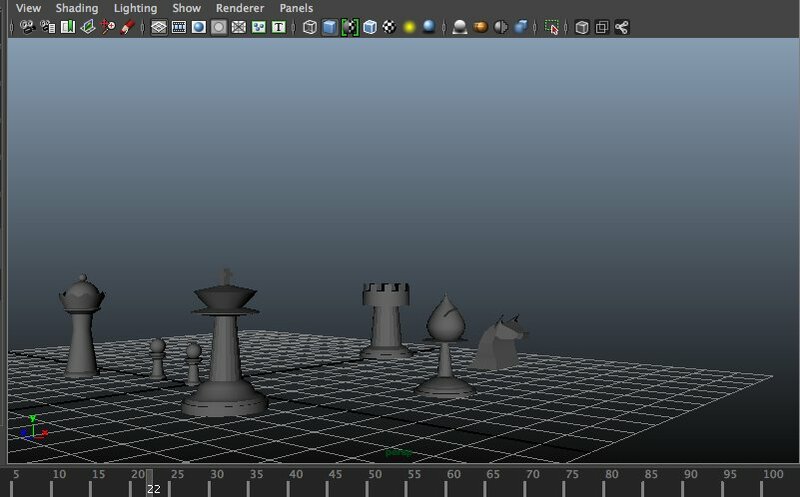 As part of the curriculum for my Game Design Fellowship, I am taking a course in 3D modeling. This is definitely something I never imagined myself doing. The learning curve has been steep and I have openly disclosed to friends and family that this particular course is more difficult than anything I did while earning my doctorate. Luckily for me, Professor Totten let it be known on day one that some of us, “would make great art” and some of us “would make not-great art.” I feel confident that I am in the later group, but am thrilled to be either group at all. As much as I love my home base of psychology and the amazing feeling of being able to help someone, being able to create something from nothing – even a rudimentary chess piece – is also a powerful experience. This is why games hook us – they are powerful experiences. Everything about a game imbues a person with a sense of accomplishment and triumph (even in the face of failure). A game designer creates worlds, game artists bring those worlds to life, players explore the world and overcome obstacles. And while cutting-edge graphics and mind-blowing art can certainly enhance a work, it does not necessarily make or break a game. One great example is Sissy’s Magical Ponycorn Adventure. The art and story for this game were created by a five-year-old whose father made a browser game around it. Although it might not win game of the year, it is a fun game that definitely evoked several smiles and “awww!” It also is a great motivation – if five-year-old Sissy can design, voice act, and illustrate a game, I can too! Another game which recently came across my radar was Mayday: Deep Space. Mayday is a science fiction suspense game with very limited graphics. You communicate with the survivor of a spaceship through a radio device with the goal of navigating him to safety. On screen, you can see an outline of the ship, a blue dot for the survivor, and red dots for enemies. The game is narrative-driven and although the graphics that are there look pretty sharp, they are not the main attraction. Don’t Breathe is a text-adventure horror game which was created at a recent Global Game Jam I attended. Being a text-based game, visual art is limited. But what really excited me about this game, and something it has in common with Mayday, is the utilization of other senses. Both games feature audio which helps create and drive the experience. Focusing on sense other than sight is conducive to creating our own, internal visuals. You can close your eyes and “see” the world being shared with you through sound. Not only does this flex the creative muscles, but it makes the game a unique experience for every player. It’s the same principle behind why movie monsters are so much more terrifying when you don’t see them.